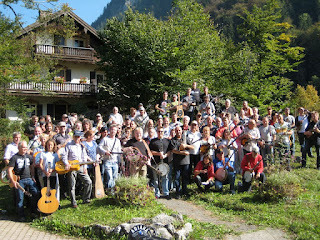 Thanks to Adiaha Bürkmiller for the news that the 6th Bluegrass Camp Munich, the 'Pick your Passion Camp' for all bluegrass instruments, will be held from 5th to 7th October 2012 in Aschau, near Lake Chiemsee in Bavaria. Only a few places are left! 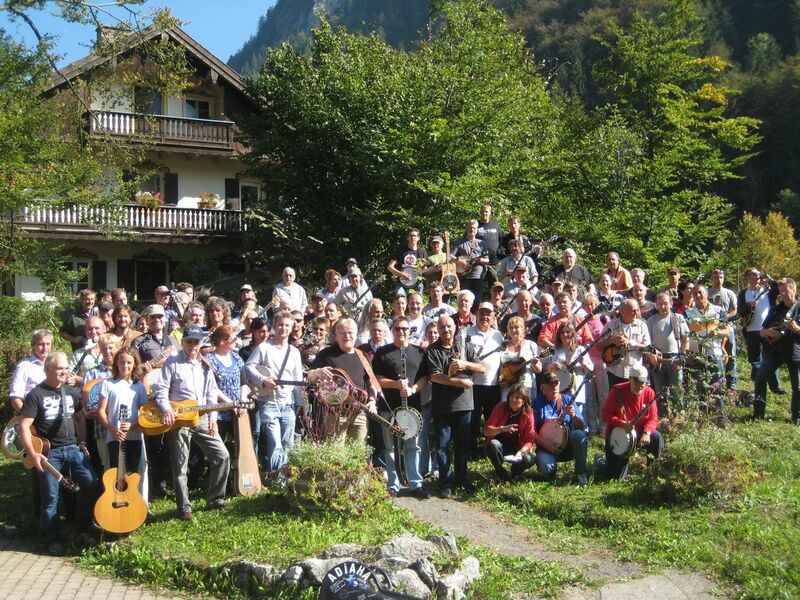 Two-and-a-half days of intensive learning, jamming, and socialising with students from all over Europe and instructors from all over the world. Besides the workout classes (10-12 students), the weekend will include a band workshop with jamming night, harmony singing, clawhammer for beginners, how to work with Band-in-Box, improvisation, and many more. For more information, please contact Adiaha Bürkmiller website; cell-phone +49-176-23640702; e-mail.